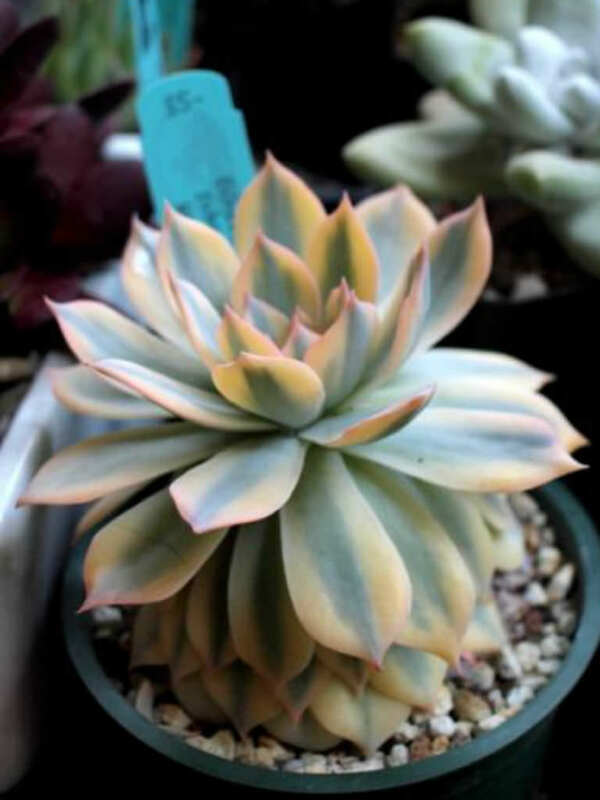 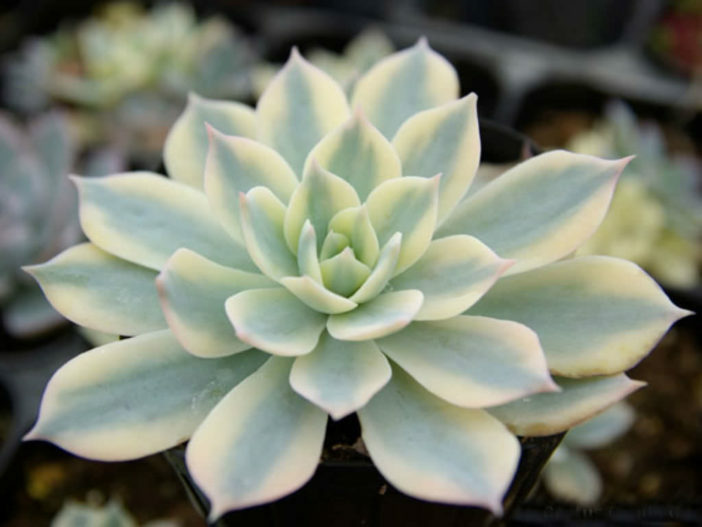 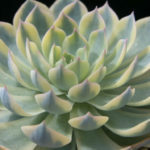 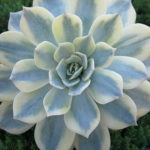 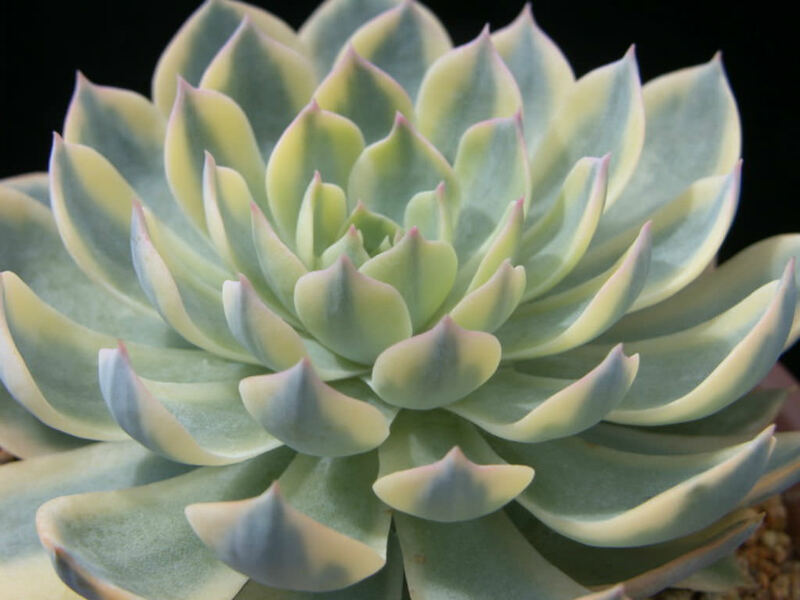 Echeveria peacockii ‘Variegata’ is a fast growing, succulent plant with rosettes up to 6 inches (15 cm) in diameter, of iridescent variegated silver-blue and cream leaves that can become tipped in red. 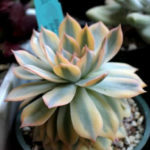 The long-lasting flowers are pink-orange on slender stalks up to 10 inches (25 cm) long, in early summer. 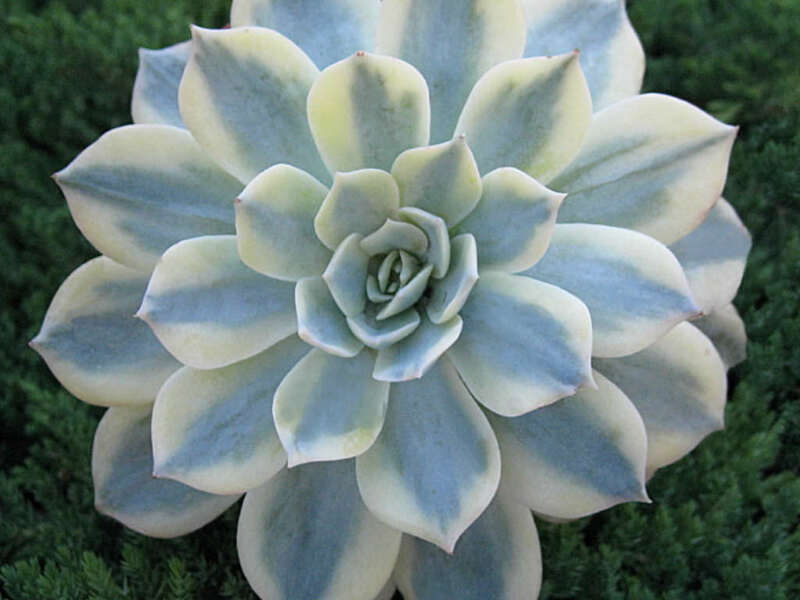 It will form new rosettes to become a nice-sized clump after time.